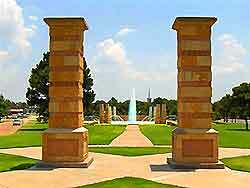 Weather in Irving, Texas (TX) offers a moderate and humid climate, with extremely warm summers and cool winters. 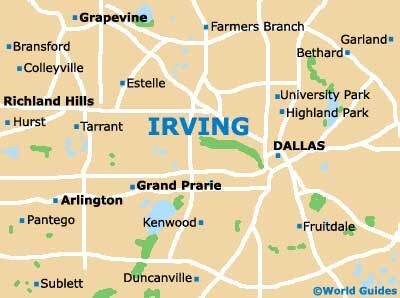 Summer in Irving runs from June through September. July and August are the hottest months of the year with temperatures reaching around 38°C / 100°F. Turbulent weather can occur during this time. The wettest season in Irving is springtime when heavy rainfalls are experienced, but these usually only last for a few days at a time. Thunderstorms are also more frequent during spring in Dallas. Winter in Irving runs from November through February and temperatures can reach up to 19°C / 66°F, but can drop to as low as 1°C / 33°F. Autumn, September and October, is a pleasant season with warm, sunny days and cool nights. Irving's annual precipitation is around 35 inches / 89 cm.